New York, NY – April 29, 2015 – New York based securities and corporate law firm Sichenzia Ross Friedman Ference LLP announced today that the Firm has represented Amarantus BioScience Holdings, Inc. (OTCQB: AMBS), a biotechnology company focused on developing diagnostics in neurology, and therapeutic products in the areas of neurology, psychiatry, ophthalmology and orphan diseases, on a $5 million investment from Discover Growth Fund. Pursuant to the transaction’s Stock Purchase Agreement, Amarantus issued 1,087 shares of designated Series G Preferred stock at a fixed price of $0.06 per share for gross proceeds of $5,000,000. 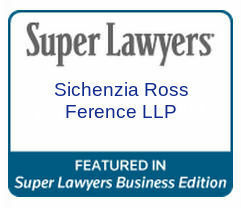 The Sichenzia Ross Friedman Ference LLP team was led by Partners Jeffrey J. Fessler and Marcelle Balcombe.